The major nations of the world are racing to become the global AI top dog. Now, the U.S is falling behind. Here's a rundown of the National AI Strategy of the biggest players in the global AI race and where the U.S fits in in the future of global AI. Although the Artificial Intelligence show mainly focuses on the actions of U.S and China, several other nations around the world have billions invested in AI systems. In their respective plans, each of these countries focuses on specific areas and strategies. Overall, there are around 8 major nations involved in national AI strategies of automation or improving efficiency. While the list is certainly not exhaustive, it does give us a picture of where things might be going in the near future regarding AI development and use. Although the U.S might be the leader of AI development at the moment, the lack of a national AI strategy could lead to them falling behind in the global race. Without a national AI strategy like many other nations, the U.S is moving rapidly forwards but with no direction. Without any clear goals, the U.S national AI objectives are becoming muddled. First, let’s look at the major AI movements of the U.S. Then, let’s look at why other nations will overtake them. Unlike other countries on this list, the United States lacks an official national AI strategy. The U.S. Government came the closest to establishing a cohesive national AI plan during Obama’s presidency. The three reports together could have provided the basic ingredients for a consequential U.S. AI strategy. However, no official plan ever came to fruition. In recent years, the Trump administration has taken a more liberal business-driven approach to AI. 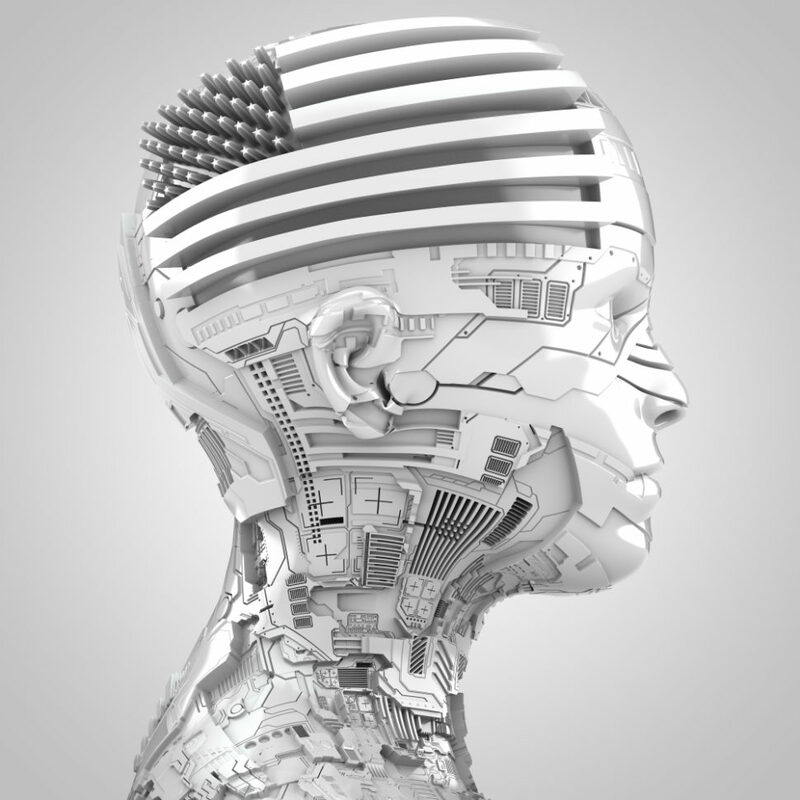 Last December, the White House announced the future release of an updated version of the 2016 National Artificial Intelligence Research and Development Strategic Plan. One of the major problems that comes with a lack of a national AI strategy is that academic centers in the U.S. have to compete with big firms in attracting and retaining talent. As a result, AI research could receive less government funding and be overtaken by private interests. Kai-Fu Lee, a prominent Chinese tech entrepreneur, thinks the U.S. should blame its own government’s “complacency” for losing ground in the global AI race. This leads us to our next entry on the list and the biggest contender as the future global AI Top Dog. China doesn’t hide its ambition to become the world’s leader in AI. If the U.S. doesn’t have a unifying AI plan and works more on decentralized efforts, China does the opposite. Not only does China have a national AI strategy, but its national plan is the most comprehensive strategy in the world today. In 2017, The State Council of China released the “New Generation Artificial Intelligence Development Plan”, defining AI as a national priority. This plan is China’s official AI strategy that aims to build a $150 billion industry around AI solutions. Eventually, China wants to lead the world in AI by 2030. The speech of President Xi Jinping at the 19th National Congress of the party, where he laid out his vision for China, provided the trigger for the AI 13-year plan. Some read into Putin’s words as an indication of the quietly escalating AI arms race. However, compared to the U.S. and China, Russia’s AI research and development capacities aren’t as strong, both technically and financially. Russia doesn’t have an official strategy for AI, but it’s taking its time to cook up one. This month, Russia said it would release a roadmap for a national AI strategy by mid-2019. Artificial Intelligence and data are officially part of the UK Industrial Strategy’s Grand Challenges. At its core, the UK is gearing its AI industry towards improvements in healthcare. The declared mission within the strategy is to use “data, Artificial Intelligence, and innovation to transform the prevention, early diagnosis and treatment of chronic diseases by 2030”. Per the deal, between government, private, and foreign sources, a total of £1 billion will be spent on 1,000 PhDs related to AI by 2025. The investment will also fund the Turing Fellowships program and the creation of a Centre for Data Ethics and Innovation. In July 2018, Germany’s federal cabinet outlined the key points of its national AI strategy. At the Digital Summit in 2018, the German government released an AI strategy that aims to make Germany a leading hub for AI. Germany wants to make “AI made in Germany” a globally recognized quality mark. They aim to do so mainly by speeding up the applications of AI research. The German government pledged to create €3 billion in AI-related federal investments. This brings the total funding to €6 billion with the private sector. The government also announced a network of a dozen research centers dedicated to AI. In addition to further research, these centers aim to attract other international talent. Politician and mathematician Cédric Villani laid out the foundations of France’s AI strategy in his report: For a Meaningful Artificial Intelligence: Towards a French and European Strategy. In March 2018, president Emmanuel Macron presented France’s national strategy for artificial intelligence. The €1.5 billion plan aims to make France the leader in AI in Europe, and in the top 5 worldwide. The plan focuses on six major initiatives to benefit from investment funds and government support. These initiatives include the creation of interdisciplinary research institutes in AI, measures to attract and maintain talent, and the strengthening of European and international cooperation projects. The slogan #AIforAll sets the tone of India’s national strategy for AI. By choosing to focus on the social inclusion power of AI in addition to economic growth, India makes its AI strategy stand out among others. NITI Aayog, the Indian government’s think tank that wrote the AI strategy document, identifies five key areas for AI implementation: Healthcare, Agriculture, Education, Smart Cities and Infrastructure, and Smart Mobility and Transportation. As the NITI report notes, Accenture estimates AI potential to boost India’s annual growth rate by 1.3 percent by 2035. Other than the direct economic and social benefits it wants to draw from AI, India also wants to serve as a model for the rest of the developing world to follow. The “Solved in India” phrase means solved in about 40 percent of the world. India hopes to provide a perfect “playground” for the development of scalable AI solutions to export to other emerging economies. The United Arab Emirates is the first country in the world to create a government position called Minister of State for Artificial Intelligence. In the same month, October 2017, the UAE officially launched its Strategy for AI. The AI strategy mainly aims to achieve the objectives of UAE’s five-decade Centennial 2071 project. To position the UAE at the top of the global AI sphere, the AI strategy identifies nine focus areas: transport, health, space, renewable energy, water, technology, education, environment, and traffic. The plan also involves the creation of the UAE AI Council, the launch of a leadership strategy, and a law on the safe use of AI. Again, this non-exhaustive list doesn’t include several other nations that have released a National AI strategy. What it does shows, however, is that the AI race is officially on. The next coming years will likely see rapid important developments for AI not just for the major players, but for smaller developing nations too. If the U.S wants to remain in this race, it needs to begin investing in a cohesive and organized national AI strategy. Whether this will come to fruition any time soon, however, is not clear to see. Do you think national AI strategies are a good idea? Or should the private sector have the freedom to choose the global direction of AI?